The lightest of light rain jackets. Sometimes in summer all you need is a backup jacket tucked in your jersey pocket for those long descents and unexpected downpours. 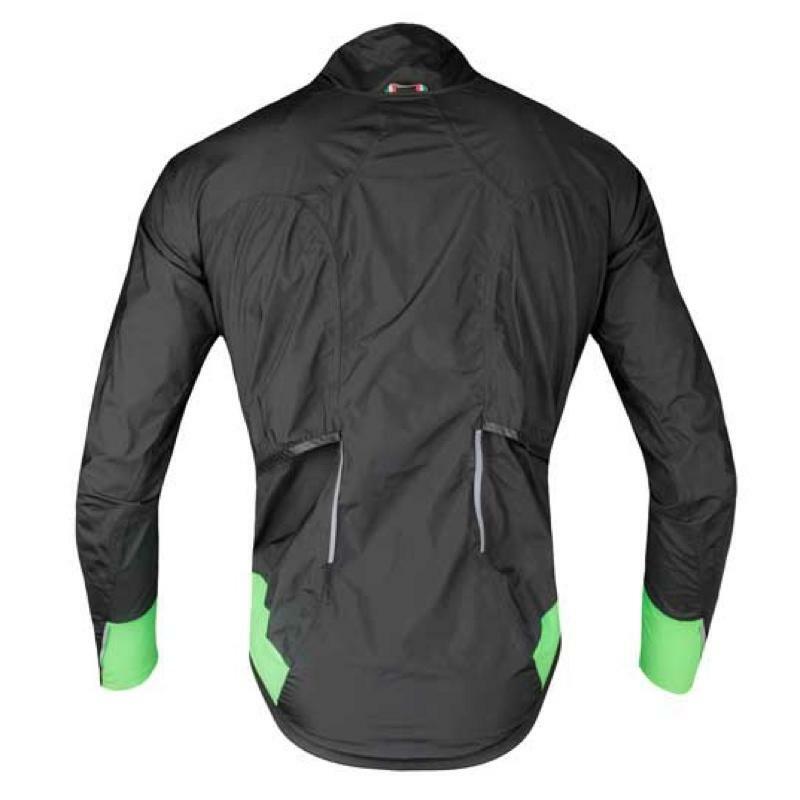 Q36.5's R. Shell Protection is an exceptionally low weight/volume long-sleeved rain jacket, designed to be taken with you on every ride without hesitation. Weighing in at just 160 grams, it's almost the same light weight as Q36.5's short-sleeved L1 summer jersey. Quite an achievement for a true waterproof. The outer layer is an extremely compact high-density woven polyamide, while the second layer is a hydrophobic porous membrane with very high-breathability (RET value of 5) and 18.000 mm/l waterproof rating. 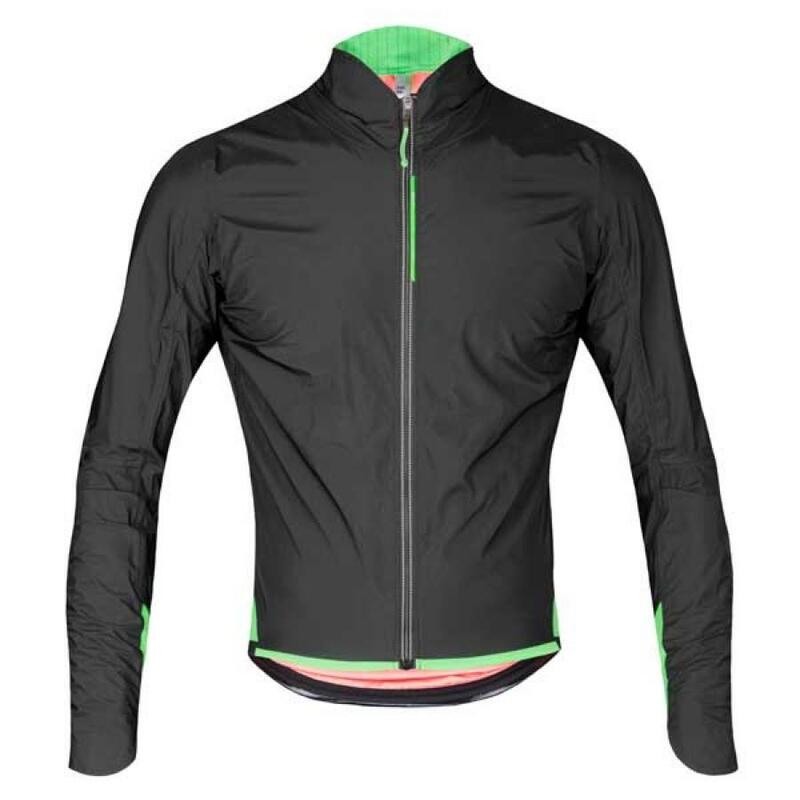 This gives the best combination of waterproofing and breathability without the need for additional linings. The collar area is ergonomically shaped to provide maximum protection against rain and water ingress, with an internal 'barber's' collar. All seams, which might otherwise compromise waterproofing, have been moved to the least exposed part of the vest. Easy access to your jersey pockets below is provided via two subtle slits in the back. The wrist cuffs are elasticated for a snug fit. The best waterproof is the one you have with you. With the R. Shell there's no need to compromise - it's super light and packs small enough that you need never be without it..